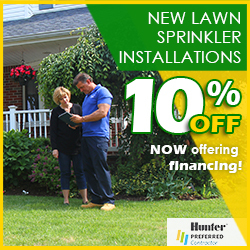 It is no secret that a lawn sprinkler system in Powell, Ohio demands exclusive attention to detail and precision. 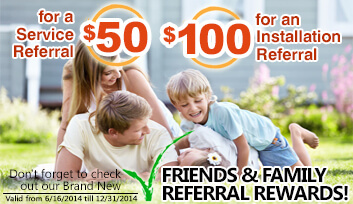 Pacific Lawn Sprinklers guarantees that Powell residents will deal only with our most experienced technicians. Whether you are looking for a new lawn sprinkler installation, a landscape lighting system, sprinkler maintenance, or just looking to change your existing lawn sprinkler company - Pacific is your answer! A “Bright Yellow” service vehicle is in the area every day. With a 100% CUSTOMER SATISFACTION GUARANTEE and an exclusive “ON TIME OR ON US GUARANTEE!”, Pacific is the local Dublin favorite. By having Pacific Lawn Sprinklers install a system in your home, the possibilities of landscape design become endless. Once a lawn sprinkler system is in place, Pacific will provide yearly maintenance (such as winterization and spring turn on or start ups) to ensure that abundant results are achieved each and every year. Repairs and upgrades to existing garden watering systems are made simple given Pacific's extensive experience with local design methods and watering requirements. Along with our irrigation services, Pacific's design and installation of LED landscape lighting systems are helping to keep your neighborhood well-lit and beautiful. 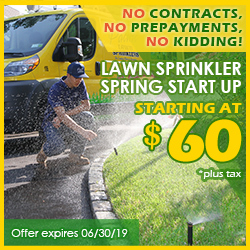 So trust in Pacific Lawn Sprinklers for installations of new automatic sprinkler systems and repairs to existing automatic irrigation systems. Don't forget to inquire about our holiday decorating and landscape drainage services as well!